LPC approves pathways in Riverside Park to improve access to Firefighters Memorial. See full coverage, pg.171. Photo Kevin E. Schultz. Work will make Firefighter Memorial accessible via paved curvilinear pathways. Landmarks issued a binding report approving the design for new pathways at Riverside Park, a scenic landmark built in 1873-1875, designed by Frederick Law Olmsted, and located between West 99th Street and West 101st Street in Manhattan. 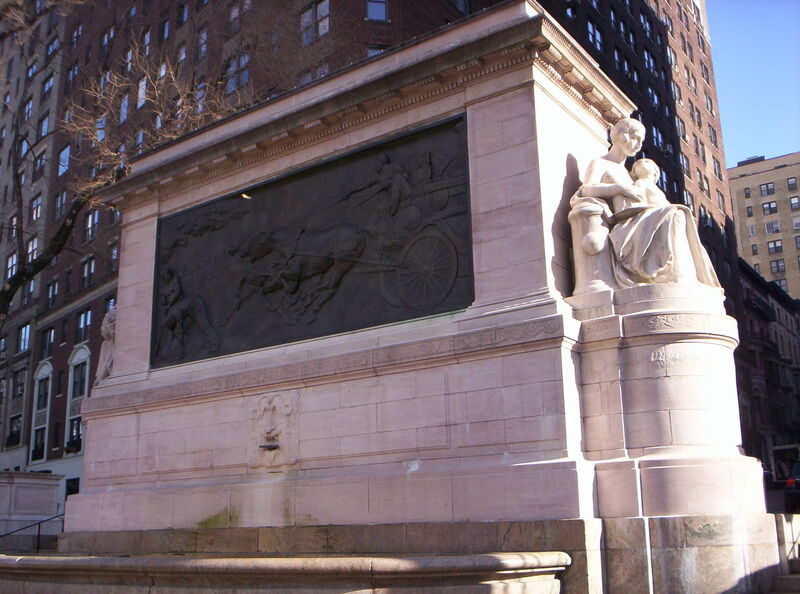 In the Landmarks application, the Parks Department proposed to connect the Fireman’s Memorial Monument, at West 100th Street on the Hudson River, to existing paths located at West 99th Street and West 101st Street by installing six-foot wide curvilinear pathways with asphalt pavement, granite block edging and drainage channels. The plan will also replace damaged plants and asphalt pavement on adjoining pathways. In approving the work, Landmarks found that the pathways were simple in design and harmonious with Olmsted’s original design. Landmarks also said that the proposed pathways will provide barrier-free access to the Fireman’s Memorial Monument and repair degrading and drainage problems. Finally, Landmarks determined that the proposed work would not detract from the significant architectural and historic character of the park.